AR150 Series includes AR150, AR150-Ext, AR150-PoE and AR150-Ext-PoE. 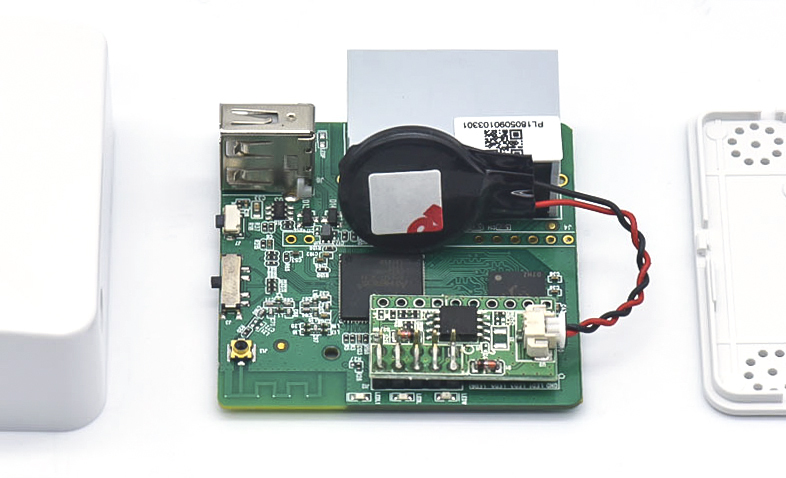 You can use a RTC (Real-time control) module in GL-AR150 mini router. 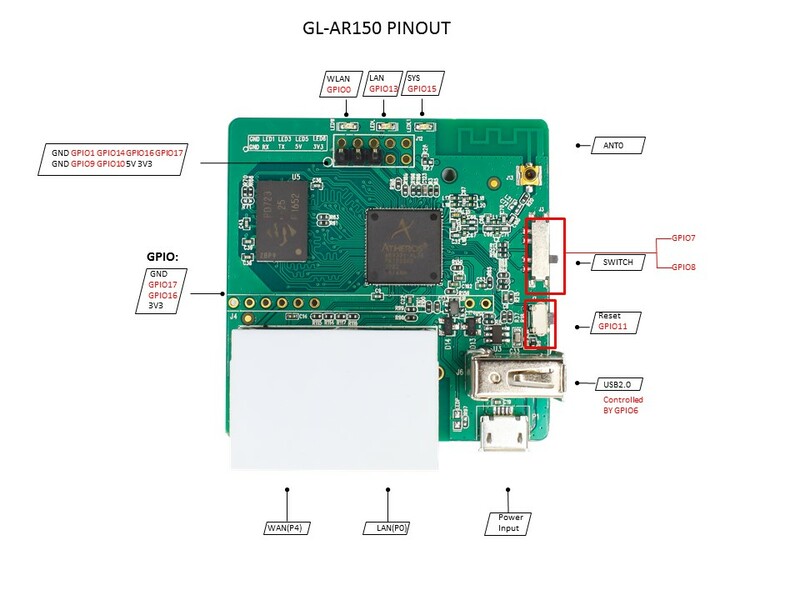 We have a specific PoE module for GL-AR150 mini routers. You can find it in the PoE version of AR150 router. 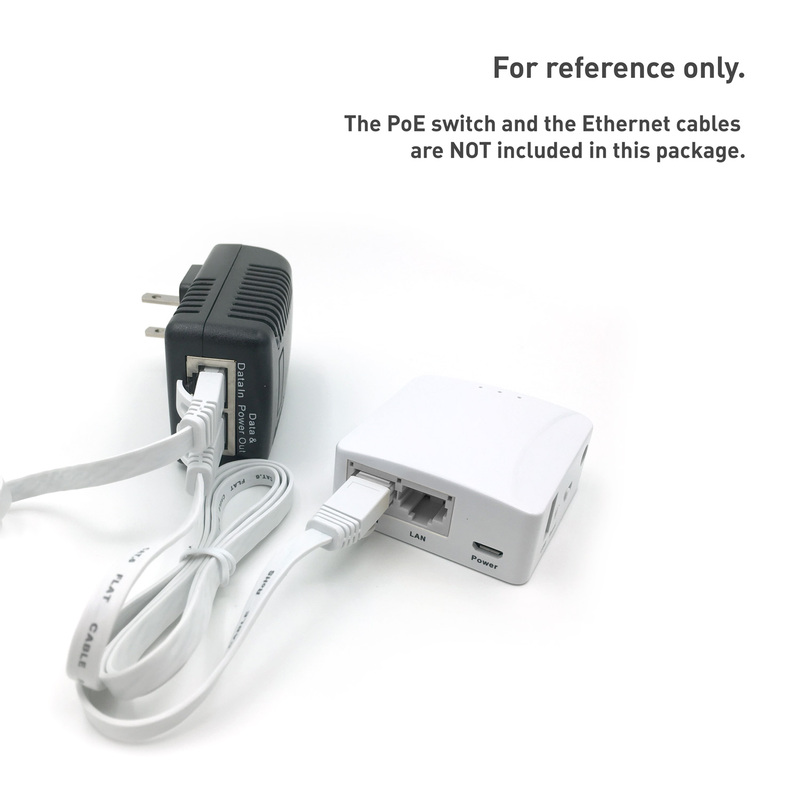 You can only apply one power supply method at one time, either via PoE (Power over Ethernet) or micro USB Power. The compatible passive or active PoE injector should be 48V 802.3af/at. The following PoE injector is widely availabe in the market and it is very affordable. 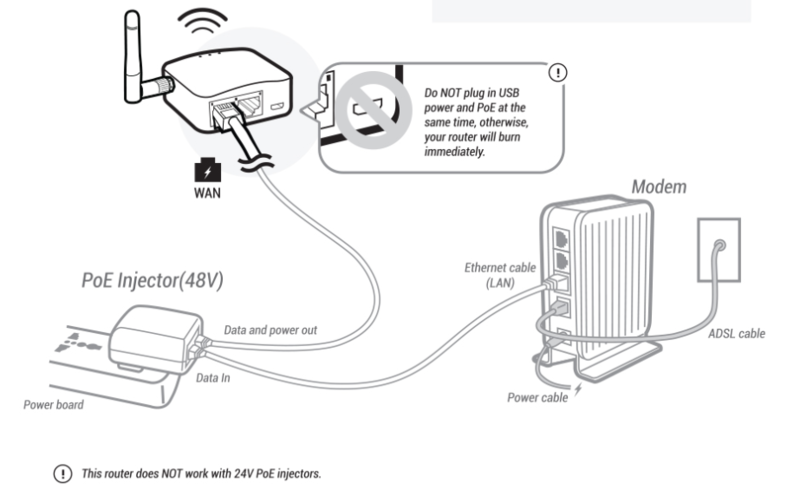 You can put you Ineternet cable in the Data In port then connect the Data & Power Out port to AR150-PoE's WAN port.